Home » Articles » 92. Are You a Generous Blamer? ← 91. Six Causes of Muscle Cramps. Ouch! “It’s your fault! You should have paid attention!” “Because of you, we’re too late now!” “Why isn’t it finished yet? You were supposed to make sure that it was ready!” Blamers always see other people’s mistakes everywhere and forget their own part. For example, at weddings where brides are trying to organize “the perfect day”, they are irritated by everything that is not perfect and look for a scapegoat. They don’t have any control over this; blaming someone else just pops out. Are you a generous blamer? If you always blame others for your misery then you are a “generous blamer”. You are someone who always passes the blame on to others. “Ouch! My toe! Who put the chair there? !” “How can we be in the red again?! You never should have booked that vacation!”, forgetting it was you who wanted to go on vacation so badly! For everything that doesn’t go the way they wanted, they point at a scapegoat. It happens in a second without them thinking about it; the finger is already pointing. Did you have a “sorry-mother”? If you recognize something of this in yourself, realize that you were brought up in a way that made you into a blamer. There’s a big chance that you grew up with a “sorry-mother”. A “sorry-mother” is a mother who puts everything aside for her children. Read about it in the article “Female Problem: Adapting, Neglecting Yourself and Forgetting Your Own Importance”. She does her best to make sure you have clean clothes to wear, that there’s food on the table and that the house is clean. If someone says, “There’s a stain on my dress!”, or “The meat is tough!”, or “Mom, where are my gym clothes?”, this mother says, “Sorry!” She expresses herself by apologizing and tries to quickly remedy the situation. She then tries even harder to prevent making this mistake another time. This gives you the feeling, as a child, that it is normal to boss someone around. Moreover, you learn that if you make comments, the other person will bow before you. It is very difficult to make it clear to a blamer that he/she should take a look at him/herself and blame themselves. If you stub your toe on a brick, you should have looked out better. If your gym clothes aren’t clean, you should have put them in the laundry basket yourself after your last training. If your shirt isn’t ironed, you should have done it yourself or indicated that you want that precise shirt for the meeting the day after tomorrow. If you want something done, you’ll have to make sure it gets done yourself or ask someone else on time. It’s a process that people can only handle if they can genuinely look at themselves. Once you’ve admitted to yourself that you are a blamer, an intense profound feeling of shame will come over you. You understand, in retrospect, what you‘ve done for the past several decades. You understand when you were unfairly angry with someone else and when you burdened someone with a feeling of guilt, when in fact it was you yourself who caused the problem. If you had realized this earlier, you wouldn’t have caused so many disagreements and so much frustration! It is one of the bravest things a human can do, admitting that you are a blamer. Once you’ve reached this point, forgive yourself as often as you can. Do the exercise I describe in the article, “Have You Forgiven Yourself Already?” And realize that you couldn’t act differently all these years because you didn’t know how to do it differently. You didn’t have the words. And most of all, you didn’t really know what you wanted. You just assumed that everyone else would get it, just as your sorry-mother did. If you do the MIR-Method, a path emerges within. Slowly but surely you no longer see yourself as a victim of circumstances but that you yourself are responsible within these circumstances. If things don’t go the way you would like them to, you will initially become frustrated about them, until you realize that you actually have influence over them. The first step is switching from blamer to woman-in-charge or man-in-charge. This is a shift that requires much Courage and Self-awareness; things that grow the longer you do the MIR-Method. Step 7: ‘Fulfill basic needs’ causes the growth of Courage. Step 8: ‘Optimize chakras and aura’ causes chakra 6 to become clearer. This is your ‘3rd eye’ and it gives you more insight into yourself. You will understand that to get something accomplished, you will have to ask clearly for it. That, if someone does something that you don’t like, you can talk with them about it in a loving way. Step 8 also optimizes chakra 5, the throat chakra, and chakra 4, your heart chakra. When these become stronger, your ability to express yourself lovingly and to say what you really mean to say increases, instead of speaking angrily to someone out of frustration. In the small things, but also in the big things. If you disagree with your supervisor’s decisions, you’ll stop blaming the poorly functioning supervisor and try to have a conversation about what is bothering you. It often demands repeating your message in various ways and sometimes you may even need to ask for assistance, but in the end, you are sticking up for yourself without being stuck in the position of angry blamer! Step 3: ‘Detach father. Detach mother’ plays a large role here. You detach yourself from your father’s authority and feel free to stick up for yourself with your supervisor. You detach yourself from your “sorry-mother” and can see that others are trying to do their best and appreciate them for the things they are doing well. You will even see that your supervisor organizes many things well. Finally, step 4: ‘Clear meridians’ is hard at work with the gallbladder meridian to help resolve the frustration and to help the “blamer” let go of the habit of blaming. 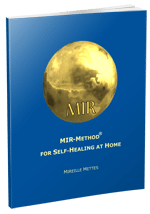 Even though I only refer to a few steps, it is important for you to always do all 9 MIR-Method steps! Did you have a sorry-mother? Do you blame other people less often now? Do you look for solutions more quickly now? Are you capable of expressing what you would like better? I’d love to hear about it! Please let me know below. Thank you! My wish for you is peace in your heart and loving words on your tongue! Yes, that could make quite an interesting article as well. When spmobody lived with the influence of someone who is very critical, it is a matter of totally rebuilding yourself and find back your inner self confidence. That can be quite a journey. I did write an article about it that has some elements of this: “Female problem: Adapting, Neglecting yourself and Forgetting Your Own Importance. It takes deep healing to regain inner strength after living with critical influence. Hope the MIR-Method will bring you much good!